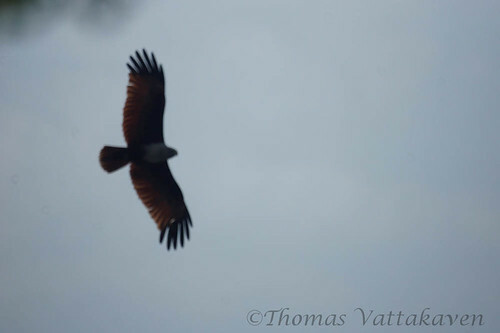 A quick visit to Fort Kochi beach on a hot day filled with tourists gave me an opportunity to attemp some flight shots of two of the most common kites of Kerala. 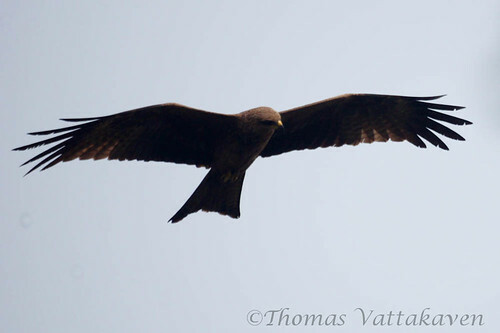 The Pariah Kite (Milvus migrans), also known as the Black Kite is the less spectacular of the two. 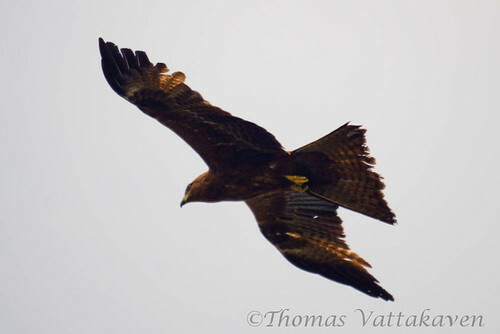 It is commonly seen circling the skies and can be easily distinguished by its forked tail. 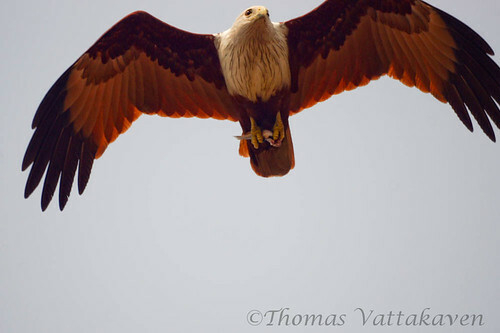 The Brahminy Kite (Haliastur indus), also known as the Red-backed Sea-eagle is more attractive and has a chestnut plumage with a white head. 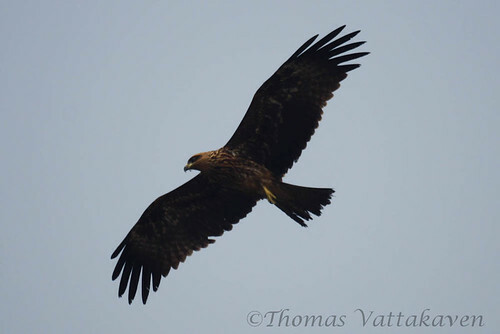 In contrast to the Black-kite, this species has a round tail. In Fort Kochi, both species can be seen circling the sea water, looking for fish. superb! there are no words to describe this beauty! Wow! Amazing shots. Just amazing. I'll have to google to find the location of Fort Kochi beach but from the looks of this kite, he could be the one in my back yard! Your shot is so close! Wow! Wow...that underneath shot, second to the last is great! Excellent photos of a gorgeous bird!